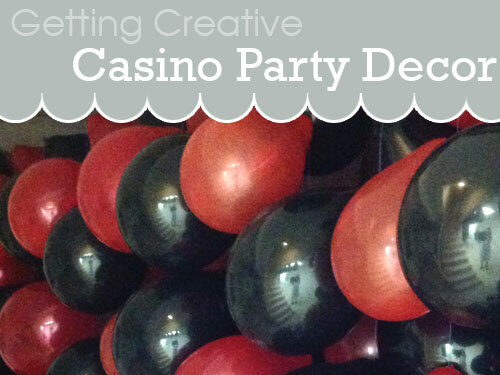 This past weekend we celebrated Miss Chicago teen’s Sweet Sixteen with a Casino Party. It was a theme of her choosing and inspired by watching rather a lot of James Bond movies. 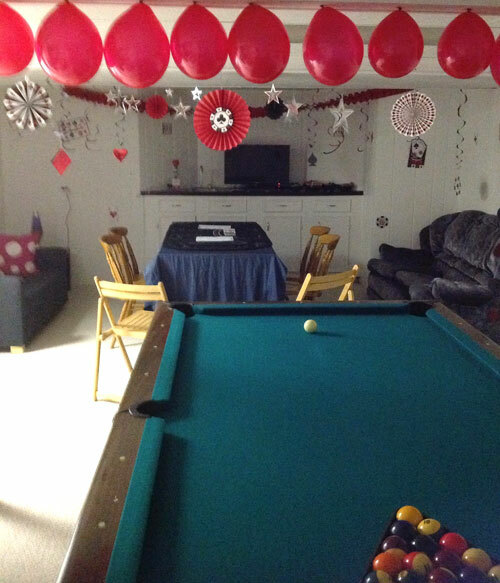 She wanted elegant canapes for food (more posts on those to follow) and we decked out the basement as a casino. Now our basement is not a pristine beautiful space (it is a lot better than when we first moved in…see before and after photographs) so anything goes on the temporary decorating front. 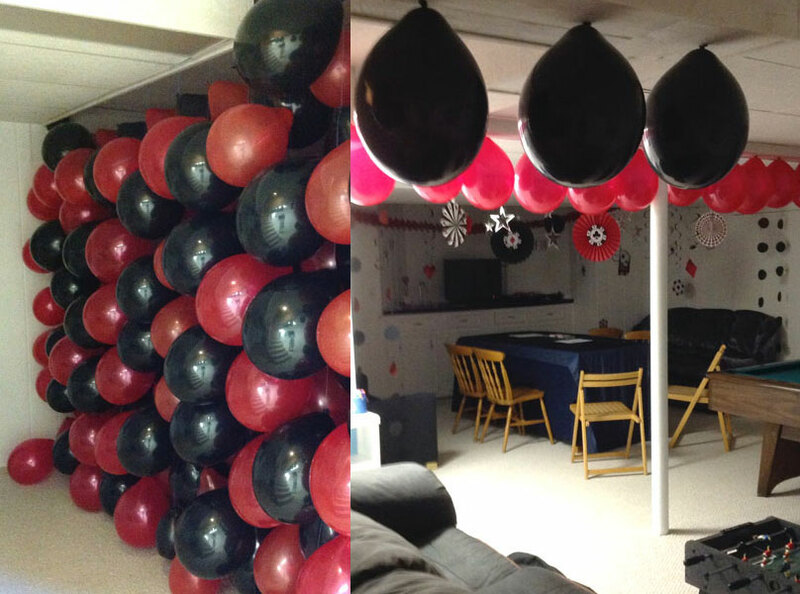 We started off by building a huge balloon wall to hide a load of basement junk. It took a bit of time but was simple to make. Blow up lots and lots of balloons. 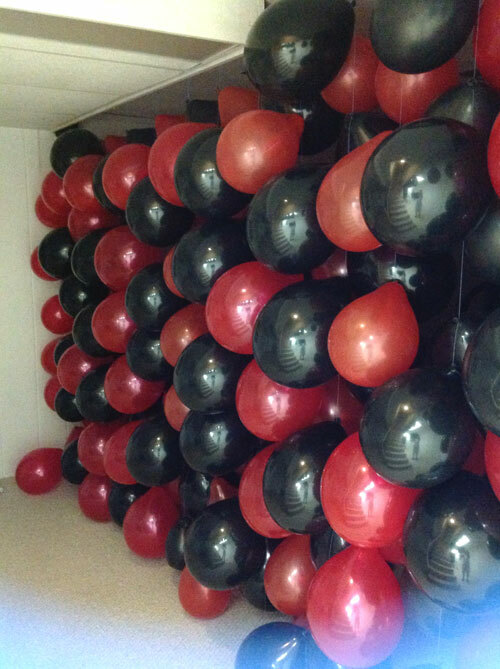 Our wall used about 90 balloons. Invest in a balloon pump! Using a thumb tack pin a length of thick cotton thread to the ceiling. I used crochet thread. The thread should puddle on the floor. Making simple loop knots in the thread attach, the balloons. Our wall had 7 balloons on each thread. They played Texas Hold-em poker, which was a huge hit and gambled for prizes of sweets, nail polish and itune gift cards. 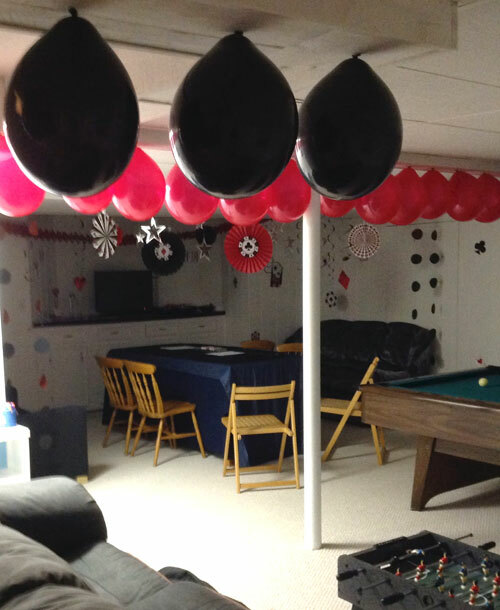 This entry was posted in Birthday Parties, Celebrate in Style, Craft Projects, Home Decor, Teenager. Bookmark the permalink.